Construction has begun on the $65 million transformation of Convention Center Boulevard, stretching from Poydras Street upriver to Henderson Street. 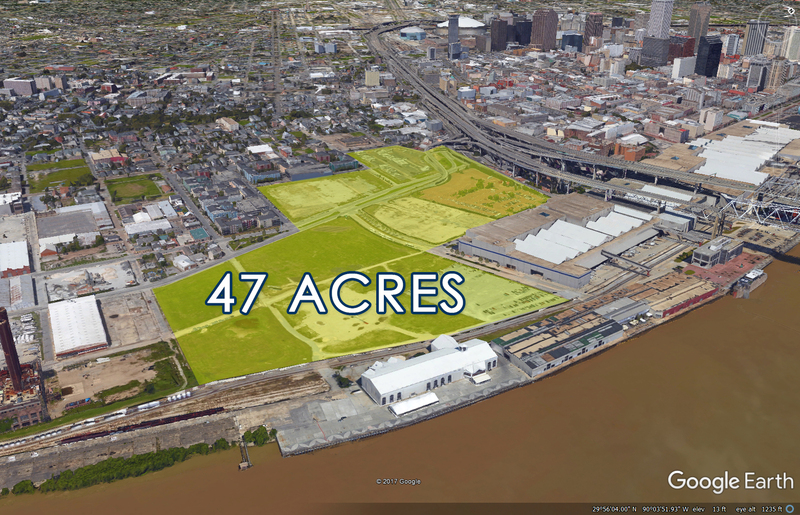 The project, approved in May 2015 by the New Orleans Exhibition Hall Authority (Authority), the governing board of the New Orleans Ernest N. Morial Convention Center, will connect the expansive Warehouse/Arts District with the Central Business District and historic French Quarter improving the out-of-town guest experience for visitors while creating new outdoor attractions for residents. These improvements are part of a comprehensive plan, known as the Convention Center District Development, that will generate significant economic impact and new taxes with a 1,200 room Convention Center headquarters hotel. The hotel will be surrounded with a 39-acre mixed-use project on an adjacent tract owned by the Authority. This plan will result in significant visual, functional and safety improvements to the area around the Convention Center. Plans for the Pedestrian Park and street improvements are the result of several extensive traffic studies that took into consideration the needs of event attendees, cruise ship passengers, warehouse district residents and businesses, commuters to the CBD and port freight traffic. The project, which will be funded entirely by the Authority with no funds needed from the City or State, aims to improve outdated traffic patterns in the Warehouse District, in addition to providing safer and new experiences for persons visiting or living in the area. Key design elements of the pedestrian park include a tree-lined pedestrian promenade, covered terraces, outdoor event spaces, interactive water features, green walls, shaded communal gathering areas, public art, and improvements to roads and intersections on shuttle routes within the Warehouse District. Shuttles, taxis and ride shares will operate in a new Transportation Center being developed at the foot of Calliope Streets. The Pedestrian Park Project is expected to be complete by January 2021.